Queen fans have a chance to own a part of the band’s history as the late Freddie Mercury’s 1974 Rolls Royce Silver Shadow is being put up for auction. The Rolls Royce Silver Shadow was produced in various forms from 1965 to 1980. It was the first Rolls-Royce to use a monocoque chassis, a response to concerns that the company was falling behind in automotive innovation. 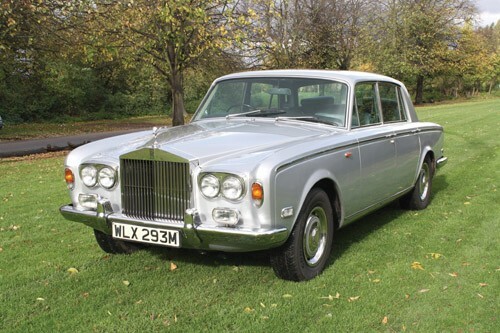 Aside from a more modern appearance and construction, the Silver Shadow introduced many new features such as disc rather than drum brakes, and independent rear suspension, rather than the outdated live axle design of previous cars. This very special Rolls Royce Silver Shadow was bought by Freddie Mercury's company, Goose Productions Ltd., in the company's financial year ending 30th September 1979. A letter in the car's file directly from Jim Beach, the long-time manager of Queen and its individual members, confirms WLX 293M was bought for Freddie's use and continued to be used and owned by the company until his death in November 1991. The car was then borrowed from the Estate by Freddie's sister and has remained in her care ever since. The car was last used for the premiere of “We Will Rock You”, and has covered minimal mileage since. Accompanying the car is a thick history file containing various bills and receipts, old and current MoT's with the current being valid until February 2013. Described as being in good to fine and original general condition, this is a once in a lifetime opportunity to acquire a real piece of Queen history. The car will be auctioned at Autosport International on January 12 in Birmingham. For more details on the car and the auction, click here.